When does it make sense to do something dangerous? Recently, I was hiking with my family in the Mt. Baker-Snoqualmie National Forest, well north of Seattle on the west side of the Cascade Mountains. I was excited to ascend Table Mountain with them. The trail begins as a gravel path that winds up and through interesting rock formations on its way to a broad flat area that gives the mountain its name. Locals take visitors on this hike because it offers both breathtaking beauty and the exhilaration of hiking through significant altitude gain. However, this path can be frightening for those who have only viewed mountains through the windshield. The guidebook specifically warns that there are no rails along the rocky mountainside, but that the trails are wide enough for two people to walk side by side. We had hiked over half of the trail, when two women descending saw us and said, “Have you been up here before? We don’t know if we’d take children up here.” Heeding this warning, I walked ahead alone to the top. Because I felt comfortable I returned to my family and took my four-year-old in hand. 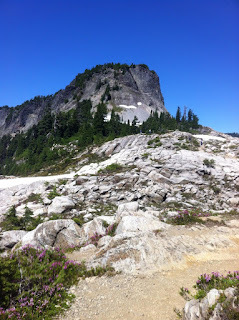 Angie took our seven-year-old, and we began the most strenuous part of the trail. The kids were safely tucked on the mountainside as we walked along the edge. 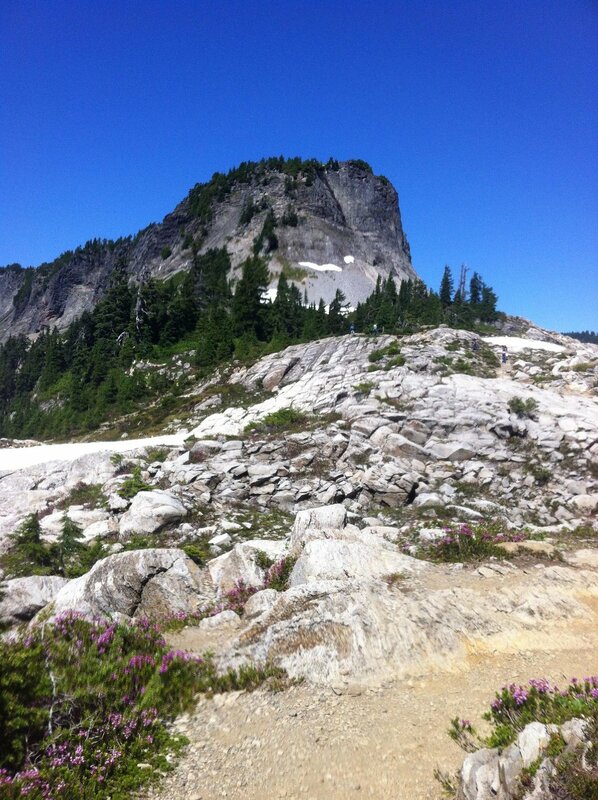 Once we reached the “table" top, the kids played in the snowdrifts and meadow, while we enjoyed the magnificent views. After trekking back down, we reached the trailhead and parking lot, where we spotted a sign we had not seen before: “This trail is not recommended for young children.” If we had seen this warning earlier, we wouldn’t have gone up. Was I foolish for taking my kids up this perilous mountain? When my family forged ahead on the hike up those steep trails, never would I have thought that I would stumble upon a significant metaphor for life. For my children, I wonder if this journey engendered an understanding of “The narrow ridge.” an experience Hasidic Rabbi Martin Buber describes as living our ordinary lives with anticipation. It is an inner orientation to navigate our lives by accepting our vulnerability as we commit to living as vibrant, engaged human beings. When living on “the narrow ridge,” we don’t always take the safe or convenient route; we are instead open to where life and love are calling us. There is strength in cultivating routines and rituals. But there is risk in developing patterns that prevent us from honest encounter with what is going on in, among, or beyond us. When we seek to live behind a sure and continuous windbreak, our days come and go without a sense of endurance. We risk dying while we are alive. I agree with Martin Buber that life is at its best when lived “on the narrow ridge.” We live with anticipation. While we recognize the need for routines and addressing the demands of everyday life, the meaning of our lives is not limited to the daily grind. There is always the possibility of unexpected joy, of an encounter that broadens our horizons, of an opportunity to act in relationship with one another. The more we fearlessly climb onto the narrow ridge, the more we encourage and support others to do so. And when we see another willing to navigate life on the narrow ridge, it provides us inspiration to follow.